We're all looking for something. We're all asking questions. We're all yearning to find our place. So keep looking. Keep asking. Keep yearning. Because sometimes we must do nothing more but nothing less than what we already are. I'm not trying to make it sound more complicated than it is; quite the contrary. 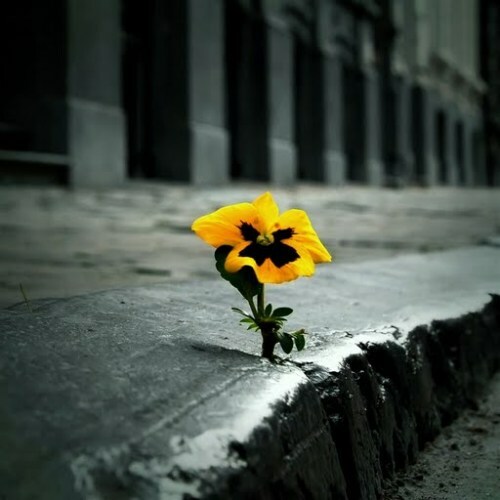 For it's in the looking, the asking and the yearning that we often discover the unexpected. And it's in the unexpected that we often find what we're really looking for. It's in the unexpected we often find the answers to our questions. It's in the unexpected we often find our own place. We usually don't like such unforseen surprises. We mostly prefer what is anticipated, well-known and easily recognized. But we should embrace the unexpected for God frequently shows up there. He will work in unexpected people, in unexpected places, at unexpected times, in unexpected ways. Abraham and Sarah. Aged and barren couple. A promise is made. God speaks. Sarah laughs. Isaac is born. A covenant is established. Unexpected. Joshua. Mighty warrior. Ready for battle. But instruction came from the Lord. And with the blast of trumpets and loud war cries, the walls of Jericho crumbled to the ground. Unexpected. David. The youngest and smallest in stature of all his brothers. But the Lord told Samuel, "He's the one." And David was anointed future King of Israel by the prophet. Unexpected. Mary. A teenage virgin. Supernaturally impregnated. Birthed the Savior of the world. In a stable. Unexpected. God will use what we cannot foresee to bring about His order and His will into the earth for our lives. Perhaps He'll wrap it in something remotely familiar, and He might even give us an expectable glimpse of some part of it, but it often comes about in unexpected means. And in this He is rightly glorified. Copyright © 2010-2017 Michelle Holderman. Powered by Blogger.